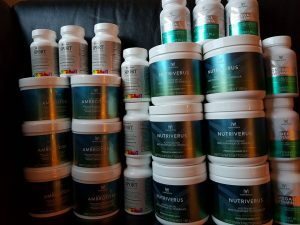 Nutriverus, Ambrotose, Sport and Omega3. They alltoghether cost 16000 NOK! It is amazing to be supported in this way! We are fortunate to be a part of this company which makes products with ecological and herbal ingredients. Sounds common? Everyone claims to have all these benefits, and that might be true. BUT Mannatech products are doing what they are supposed to – they support the body with vitamins, minerals, glyconutrients and other stuff our body needs. We experienced that we could maintain good health and stay strong throughout both winter, spring and summer, with all kinds of weather! In a way we are actually the evidence that the products work and Mannatech is an indeed reliable company!!! We need to stress how blessed and humble we feel to have all these products for free. Mannatech does not only support endurance athletes, they also support us. The two of us, who are ordinary people. The only different thing about us was that we did an extraordinary trip. It makes us feel special, both in general and to Mannatech. Like Al Bala, the CEO of Mannatech, sais: «We are not only a product company, we are a people company.» They have actually got leadership that cares for us. In addition to this, Mannatecht gives us «health insurance» – we know for sure which dietary supplements we want to use! It can of course not replace a healthy diet, but it can definitely support what the body needs to stay as healthy and strong and well as possible! Det er så utrolig flott at Mannatech støtter oss! Det viser at de er et selskap som ikke bare bryr seg om produkter og salg, men også om oss som er en del av selskapet. De ga oss produkter til en verdi av 16000 kroner!! Det beviser altså hva vi to allerede vet – de bryr seg om hver og en av oss, og de har de beste produktene på markedet når det gjelder kosttilskudd. Vi har brukt produktene både før vi dro, på turen og nå etterpå. For oss er de en del av kostholdet. Maten idag inneholder ikke lenger så mye næring, så vi har valgt å «forsikre» at kroppen får i seg nok og riktig næring med å bruke produkter fra Mannatech. Det er ikke nødvendig å bytte ut maten med disse produktene, men de er et supplement – et tilskudd av vitaminer, mineraler, glykonæring og andre godsaker rett og slett! Eirin lager foredrag om turen som straks er klart! Ta kontakt hvis du ønsker å høre mer om det! Film om turen er også under produksjon, så følg med – her kan alt skje…. Hehe! !